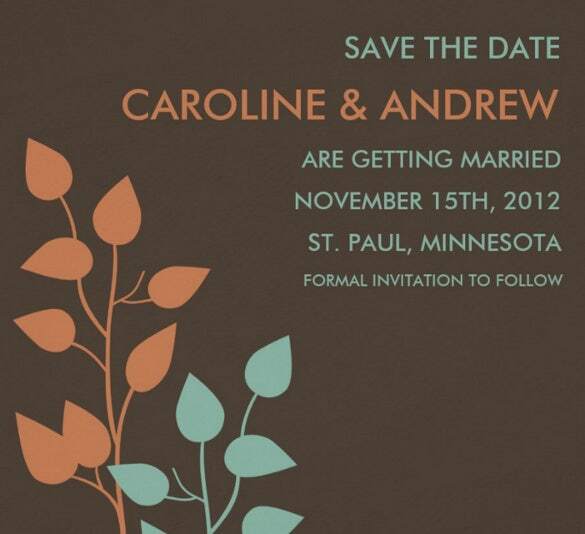 Want to give elegant and fun fall flair touch to your wedding invitation to fit in with the season perfectly? 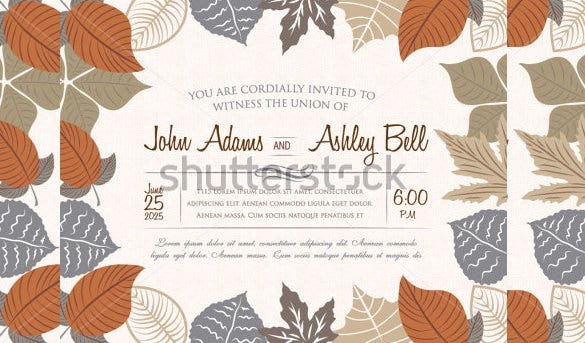 And if the season is fall, then the colors should be soft and the layout should give laid back feel. 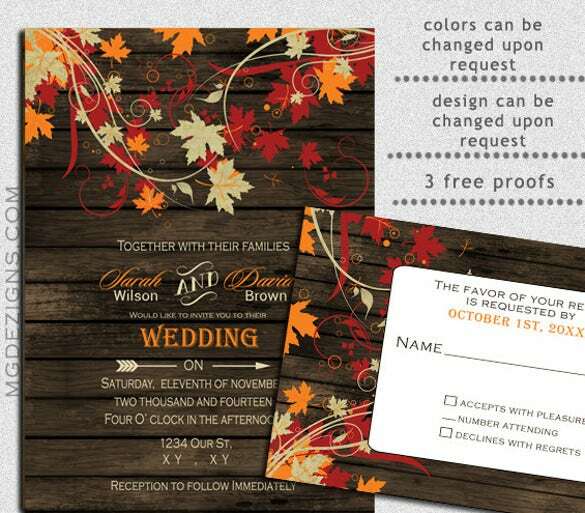 Get the exact fall wedding invitation as you dreamt of for your big day. 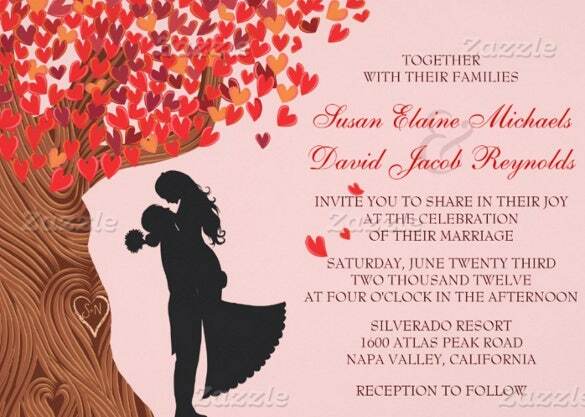 you can also see Beach Invitation Templates. Personalize it by adding your own texts and pictures. 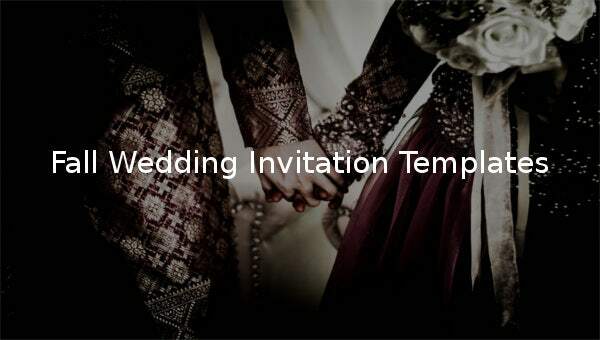 You can even get suggestions from the experts to make your wedding look more elegant. 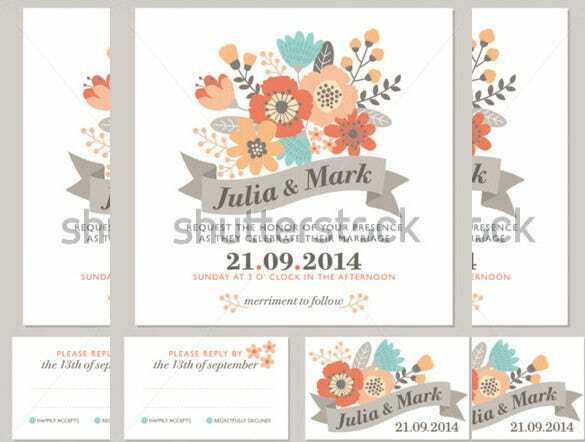 There are many marvelous and exciting invites available with us in variety of format options like invitation templates PSD, PDF, MS Word and many more. The rustic leaves of fall have a very charming look about them. 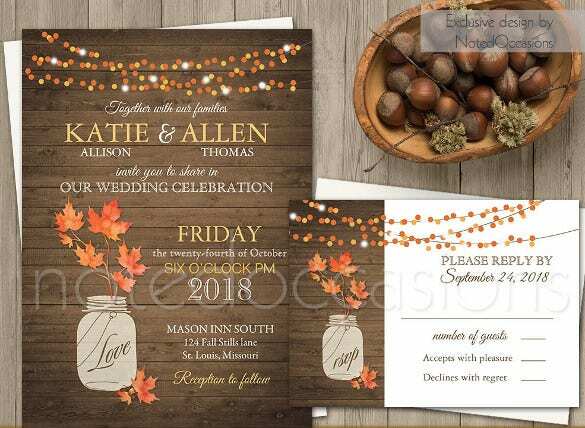 If you are getting married in this beautiful season, tell that to your friends in a very subtle manner using this fall wedding invitation with fall leaves theme. The yellow leaves of fall and the fresh smells of autumn are all very adorable and make hearts grow hopeful. 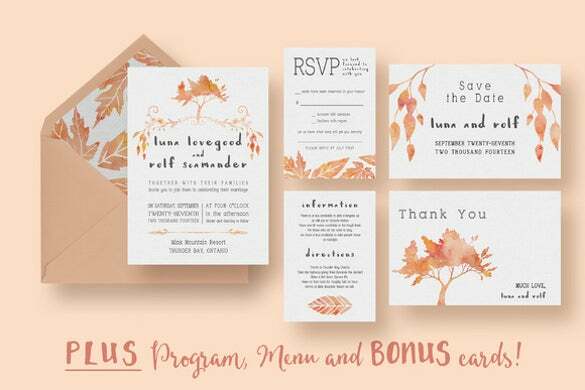 If your wedding is happening in this season of hope and beauty, make it clear to all your invitees using this fall autumn wedding invitation set theme. 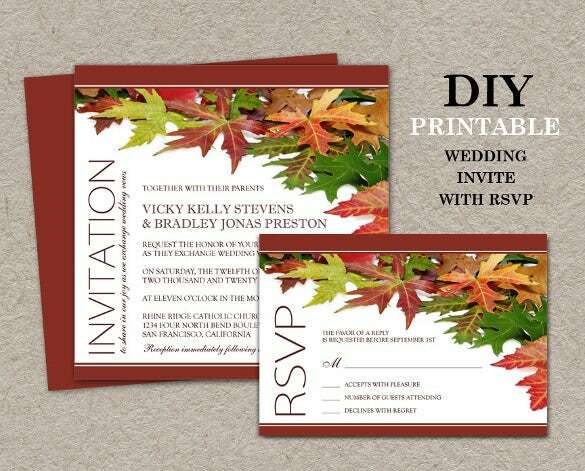 If you want your wedding invitation card to look sober and elegant with minimum colours and less designs, use this fall wedding invitation card design with leaves that will just suit your tastes. 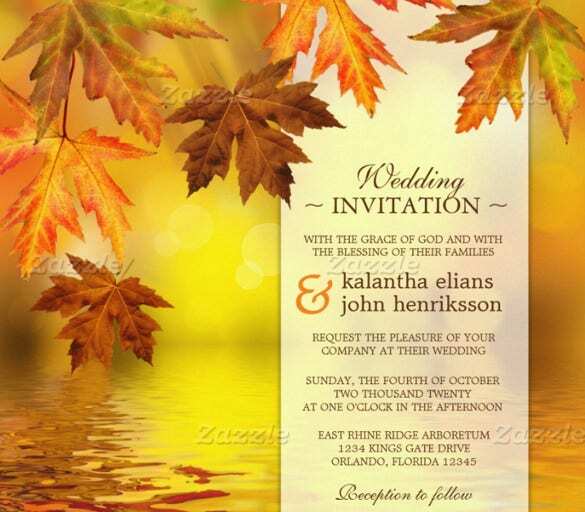 Send a detailed wedding invitation to all your near and dear ones with the help of this fall wedding invitation card that has a very neat and proper theme that looks beautiful and also adequately meets the requirements of a detailed wedding invitation card. 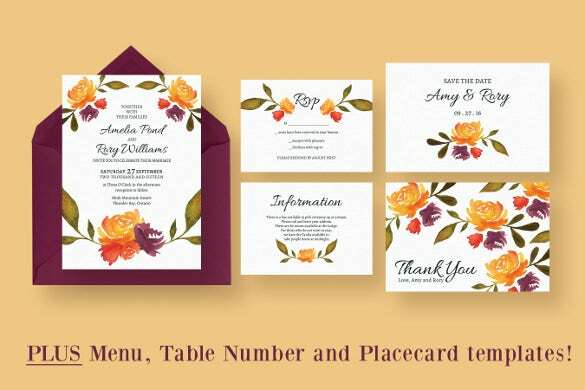 Use the illustrations of all the flowers of fall and their beautiful colours on your wedding invitation card and make it look elegant using this printable letters fall wedding invitation. 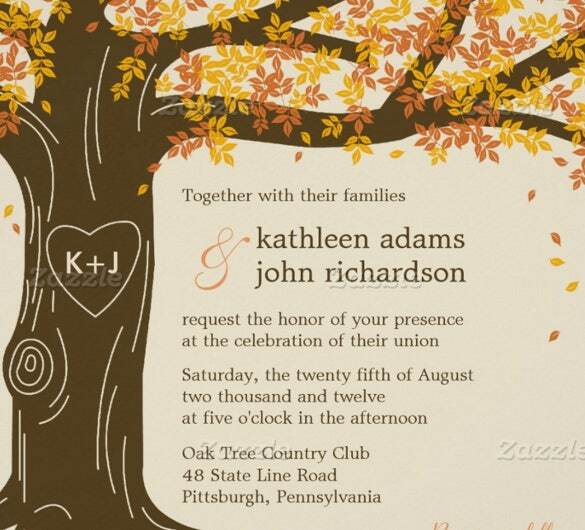 If the colours and beautiful forms trees in fall and autumn have enchanted you and if you are getting married around the same season, use this theme of sample fall wedding invitation that looks utterly beautiful and is likely to leave all of your guests stunned. 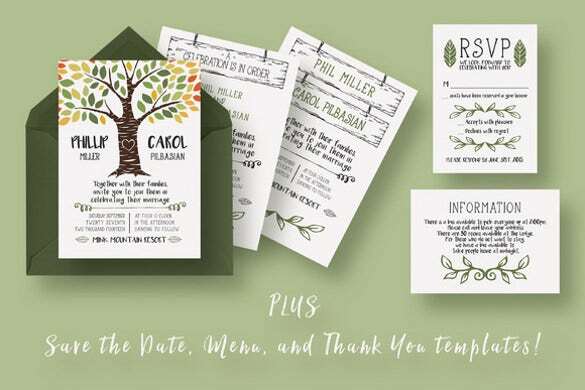 Invite your family and friends to your wedding with this quirky rustic fall wedding invitation theme that features a very adorable caricature of a tree in the fall. 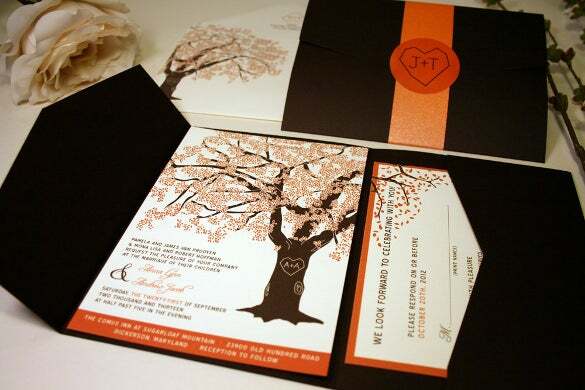 Make your wedding invitation card look attractive using different shades of the same bright colour of fall. 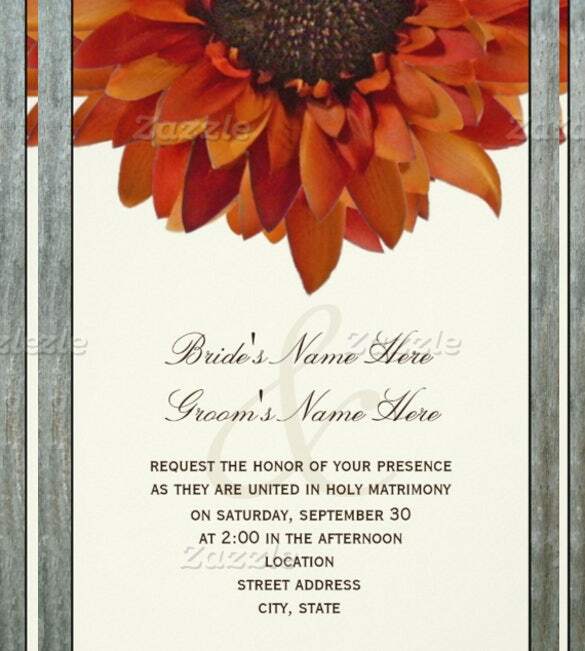 The half sunflower in this sunflower fall wedding invitation card will sure arrest the attention of all your invitees.